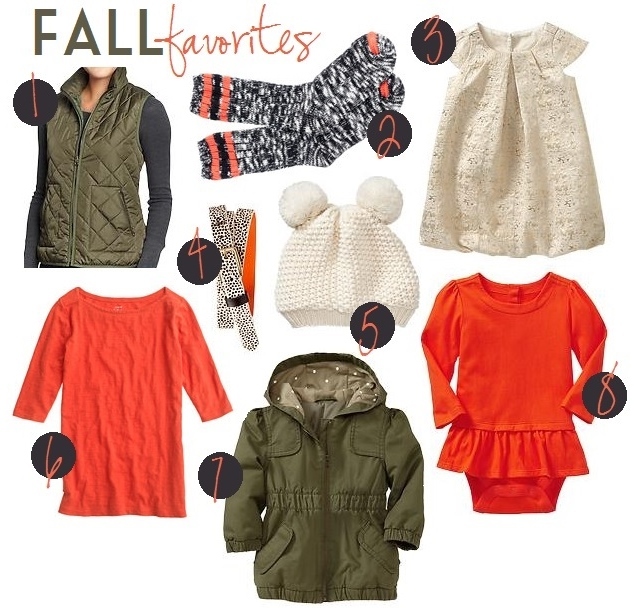 I have rounded up some of my current Fall favorites, for both mama & mini. I am loving festive socks, warm vests & of course, lots of army green & orange! And tell me that gorgeous dress wouldn’t make the perfect Thanksgiving Day outfit?! This military inspired vest is also a current favorite, a perfect vest to pair with a gold glitter belt! I love these vests for Fall because you can wear them over anything depending on the weather, even cute over a plain grey tee if the weather is still warm where you are. I am also obsessed with peplum on kids, it looks so much cuter than a onesie tucked into pants. Harper looks like such a little lady these days! Her hair is getting so long & I just love it!! Hope you all are having a wonderful week so far. Good news? Parenthood returns to TV tonight & Tomorrow is Friday! BOOM!